Thank you for sharing your positive experience at Villa Malouna ! 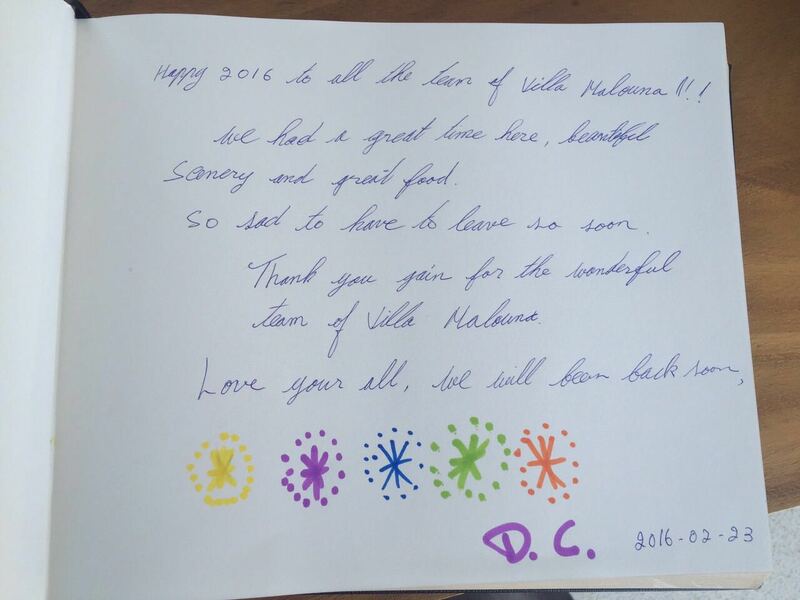 Happy 2016 to all the team of Villa Malouna ! We had a great time here […]. 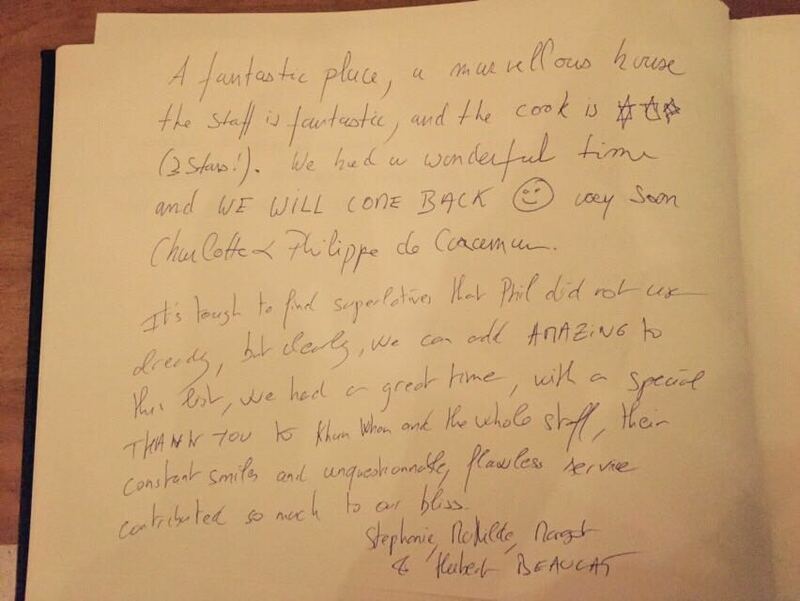 A fantastic place, a marvellous house, the staff is fantastic, and the cook is *** ! We had a wonderful time and WE WILL COME BACK very soon […].